Annual south-of-the-border race will feature three racing courses for sailors to navigate. 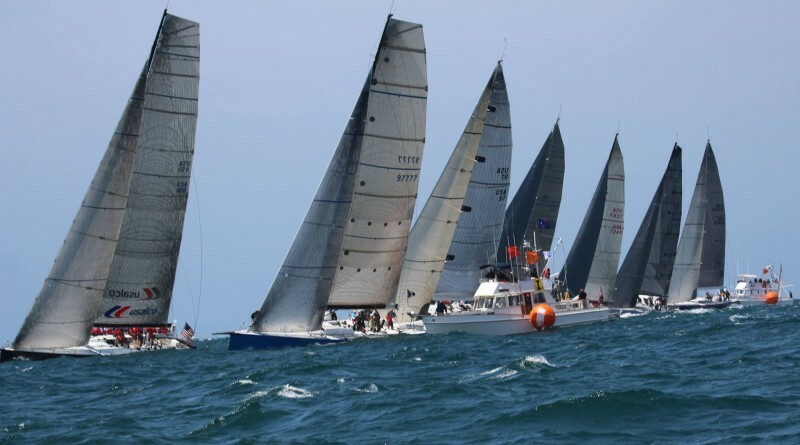 NEWPORT BEACH — Southern California’s and Northwestern Mexico’s Pacific coast will be teeming with boats the final weekend of April as Newport Ocean Sailing Association’s (NOSA) Newport-to-Ensenada Race – affectionately called N2E – celebrates its 70th year on the water. More than 160 boats were registered for N2E as of March 31, with organizers hoping to draw more than 200 yachts for this year’s race. Racers will participate in one of three courses during the N2E run, which starts April 28. The main course is N2E’s traditional 135-mile route from Newport Harbor to Ensenada. NOSA developed a longer course for those seeking to qualify for this year’s Transpac; the Long Course takes racers around San Clemente Island. A third, 70-mile course (for yachts with a cruising class of 50-plus) begins later in the day from San Diego. NOSA, as of March 31, received nine entries for – as it describes – the “hotly contested” Fast Fifty segment. Several one-design classes will be featured in this year’s N2E, such as the Fast 50, J120, SC 70 and Schock 35. Many of these fleet classes enter the N2E race as part of their respective High Point Series entries. Parties, luncheons and receptions will highlight the days leading up to this year’s N2E. Race Week opens with a kickoff party at Newport Beach’s Marina Park on April 23, followed by the annual Skippers Luncheon at Bahia Corinthian Yacht Club on April 26. Representatives from Ullman Sails will speak to attendees of weather forecasts, strategies, safety and teamwork. Also on April 26 is a VIP reception, hosted by Sterling BMW. The annual Sail Away Party is scheduled for April 27 at American Legion Yacht Club, followed by the Baja Playa Fiesta down in Ensenada the evening of April 29th. The trophy presentation will take place April 30. N2E kicks off at Balboa Pier at 11 a.m. on April 28. Visit newporttoensenada.com for more details, including more information on the events and skipper packet pick-ups. NOSA reminds entrants they must file or maintain the following documentation when visiting Mexico by sea: Certificate of Documentation or current vessel registration; current vessel insurance; current passport for owner and crew; and, current vessel Temporary Import Permit (TIP). The first-ever race was called the Governor’s Cup, according to NOSA. Organizers – via telegraph – invited Earl Warren, who then served as California’s governor, to present the first trophy in Ensenada. Winds of 25-35 knots dominated the first race, which took place on April 23, 1948 and featured 170 entrants. The registration fee was $22.50. Only 65 boats finished.